I don't think we have this yet. 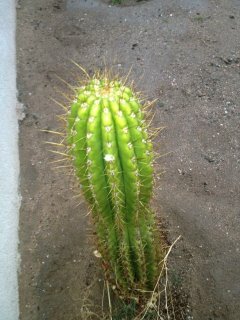 A sticky that we can post photos of cacti we acquire. so that there isnt a bunch of threds (What do i have) Just to keep it clean and one place to post pix to identify. I need this ID'd, Not sure if its a trich. Close but not sure. Torch , achume ,bridgesii...... I know it is not a padro ? or is it ? Hey all out there from australia. 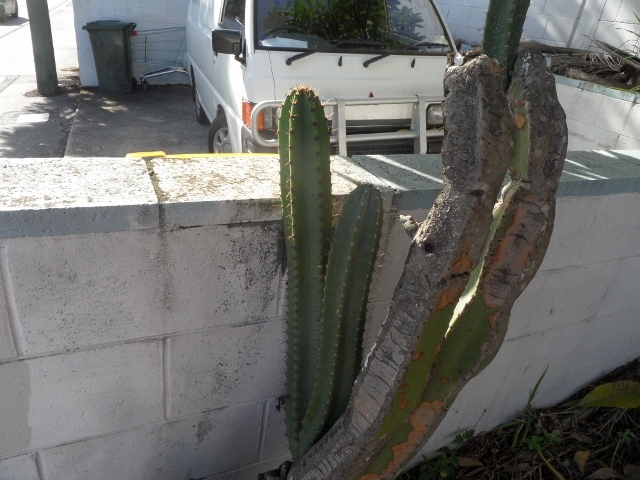 I happen to come across a rather large and old looking cactus as i was driving past and at a quick glance thought it might have been san pedro or peruvian torch. Went down today to have a closer look and get a photo and now i'm not so convinced unfortunately. After a bit of research (i'm very new to this) am leaning towards cereus peruvianus. Any input or ideas on it would be greatly appreciated. heres the pic and it has 5 ribs. After looking up Neoraimondia Herzogiana as teesus suggested for dooda i think that one that i have found and have pictured the post before may well be the same species but it's gotta be quite old i'd say. What does everyone think? Peace people. I'll have to look that up ! Peace ! Glad to see our new I.D. Sticky working well ! nice to see this thread utilised. still wondering what type of echinopsis is in my first pic. Edited by gardenboy, 12 March 2012 - 04:34 PM. lol, i agree with you on the cereus call. reminds me of my cereus that i snatched. i'm also still learning, only been gardening for about 6 months! 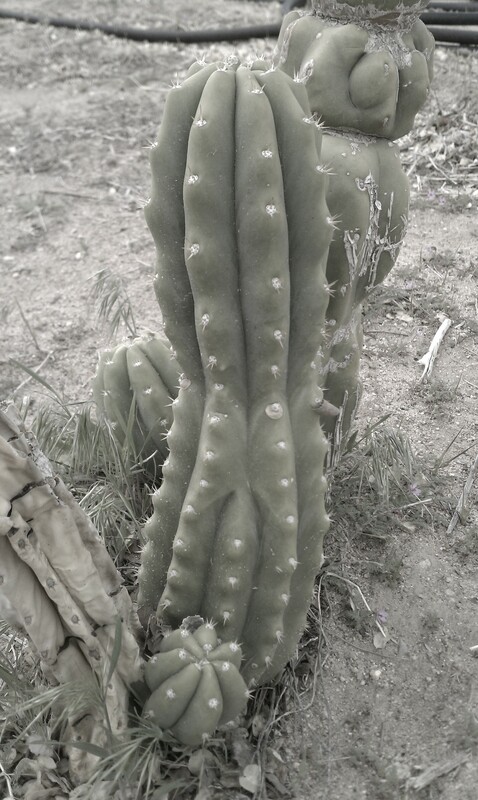 Trichocereus sp.. backeberg/pc pachanoi= typical garden variety? yes, its very widespread cultivar apparently and is somewhat the standart pachanoi in many parts of the world, but seems to be a different plant than what was originally described as Trichocereus pachanoi by britton and rose. 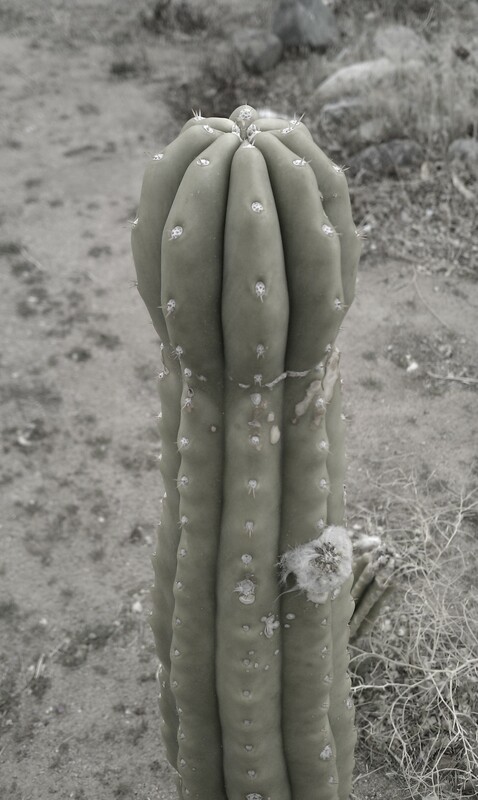 the 'original' pachanoi apparently looks more like the trichocereus in gardenboys first post. to differentiate the botanical correct pachanoi from the plant commonly known as pachanoi the later has been dubbed with different names by the cactus experts on the forums: backeberg clone, predominant cultivar (pc) or pachanot. These came from a plant that was easily 50+ years old. They are cuttings that were transplanted. What are they and does the age carry over and make a difference in active contents? Thanks!! i found one like that but it had to be 1 foot with with like 13 or more ribs.... brownish mostly yellow 2 inch spines with 2 pairs of spines in each areole smaller ones of course..... the bottom was around a foot wide and 5 inches on top....... i found little with weblike seed pods any idea what it could be???? neighbor has this cactus?? wondering what it is... after this resolves could we add this to the id sticky??? it looks like as some kind of Echinopsis/ Trichocereus. something like T. candicans or T. huascha maybe. those seedpod looking things are probably flower buds. I like this idea separate post for iding then stick them in the sticky maybe easier to edit ? You got issues with people trying to get at your loph's ? Guard dogs And a gun comes to mind ! Joking ! Well not really. If ya got other pix from your friends garden and need to identify, post them at the sticky for cacti ID. 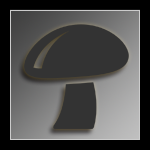 It's at the top of the botanicals forum. It's there just for this purpose. Sorry you already know this, my bad ! That cacti in your pic is beautiful. I can't help ya on the ID, but it is a nice specimen ! GLUK on finding more beauties !